Attendees gather around the stage for the highlight of the night. Photos by Jonathan Lantz. See social media coverage of the event - it's like you were there! 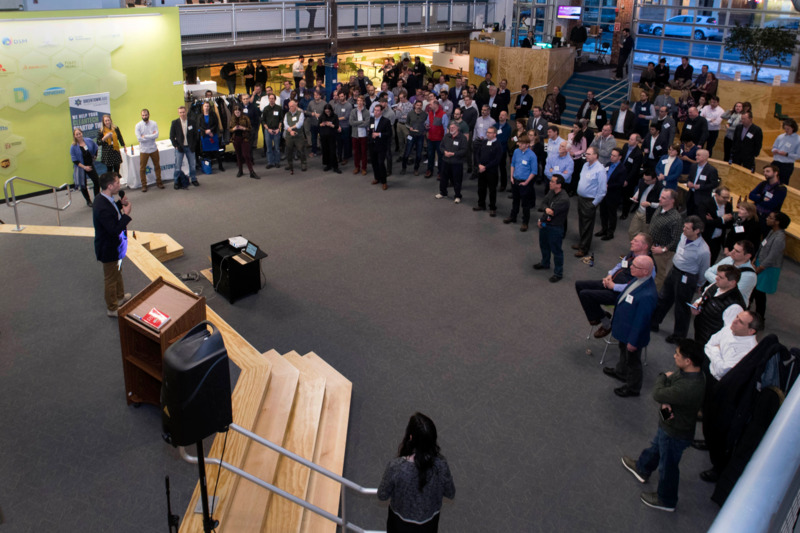 Our second launch event of 2015, the NYC Kickoff Party, sported an impressive crowd of 150 and featured many members of the mentor, investor, and entrepreneur community.